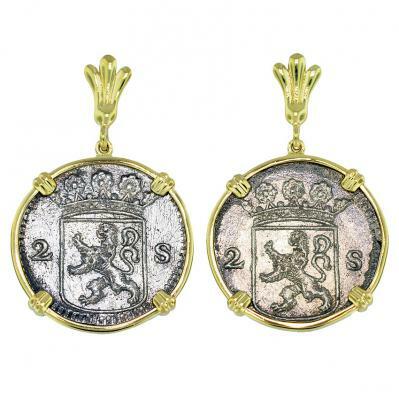 The Akerendam, a newly built vessel, set sail from the island Texel in the Netherlands on January 19, 1725. She was a part of a Dutch merchant fleet in route for Batavia, Indonesia loaded with treasure, for the spice trade in the Far East. The Akerendam was soon caught in a violent storm in the North Sea and sank off the island of Runde, Norway with the entire crew of 200 lost at sea. During the summer of 1725, four chests and other cargo were salvaged but then the divers gave up and the wreck was forgotten. 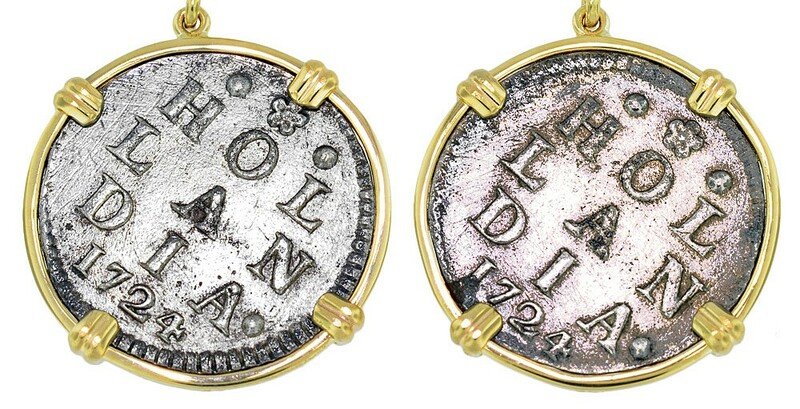 The wreck was re-discovered in 1972 by Norwegian sport divers, who found the sand bottom littered with encrusted coins. 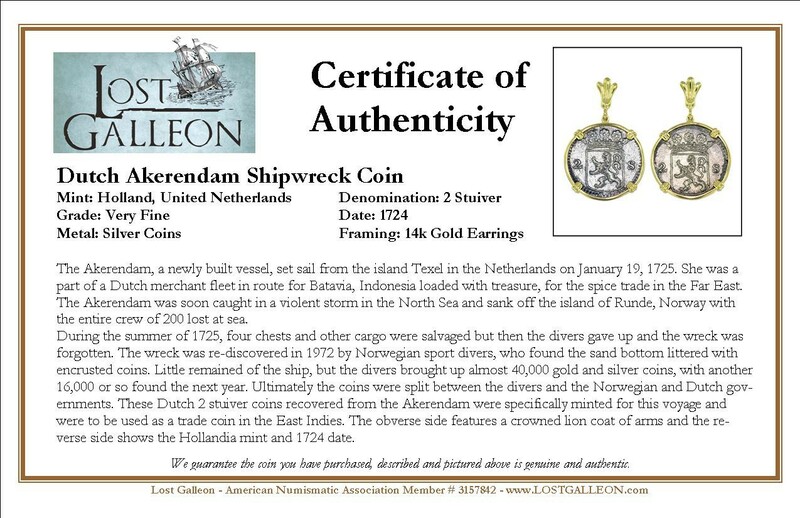 Little remained of the ship, but the divers brought up almost 40,000 gold and silver coins, with another 16,000 or so found the next year. 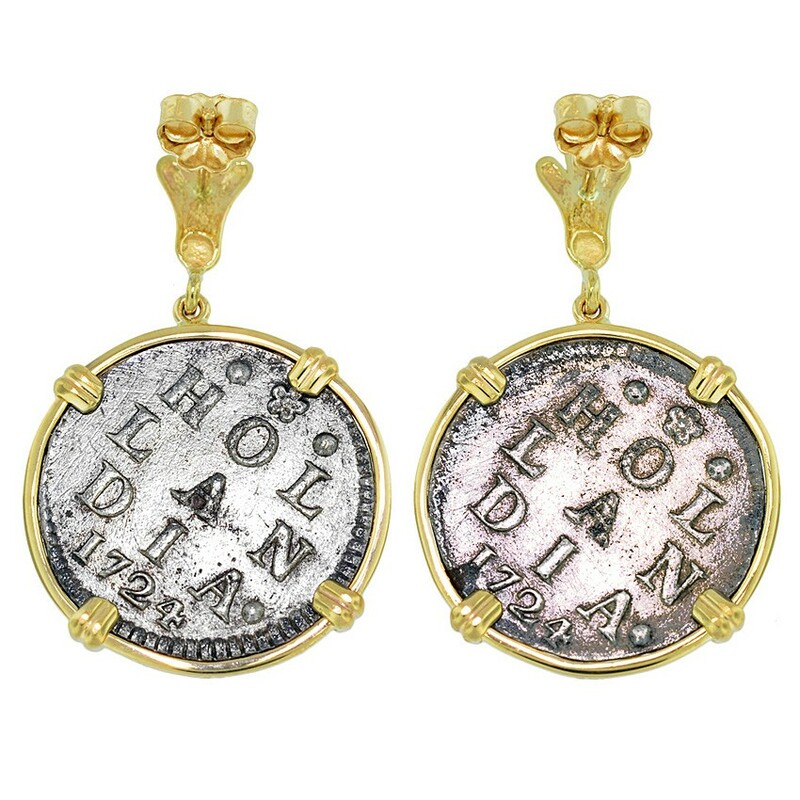 Ultimately the coins were split between the divers and the Norwegian and Dutch governments. 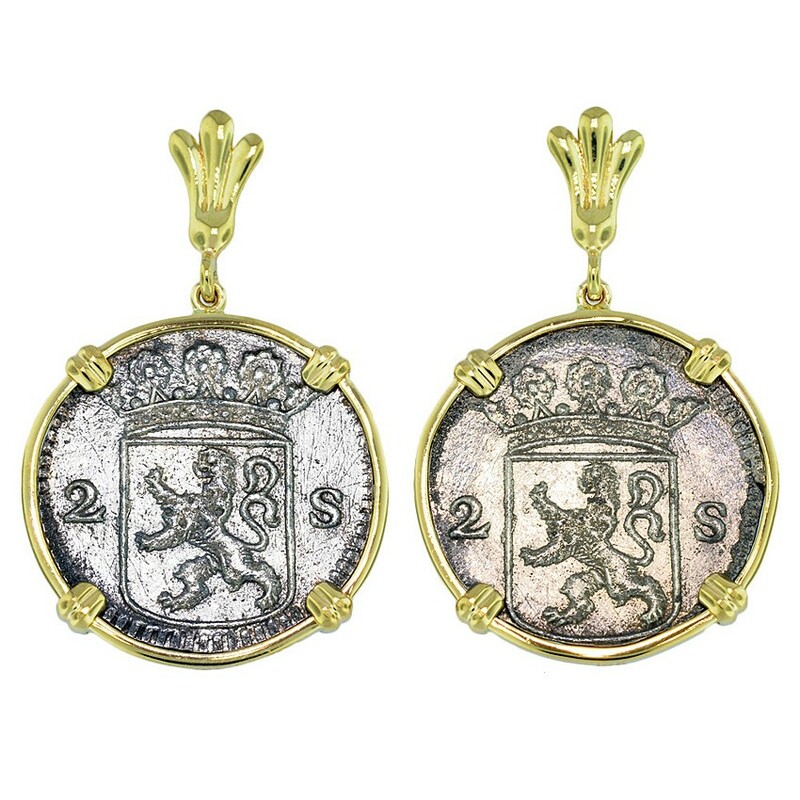 These Dutch 2 stuiver coins recovered from the Akerendam were specifically minted for this voyage and were to be used as a trade coin in the East Indies. 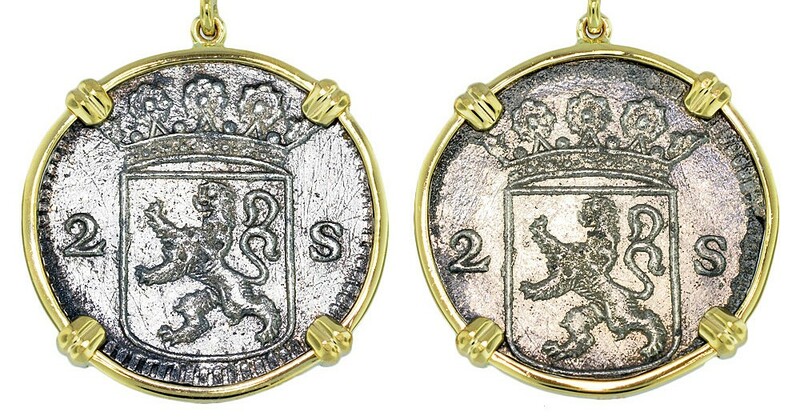 The obverse side features a crowned lion coat of arms and the reverse side shows the Hollandia mint and 1724 date.